Marriage has a spiritual component to it, so you must put on your spiritual armor to protect your marriage from the common enemy that is trying to destroy it. Gazing into the eyes of your soon-to-be spouse and pledging to a lifetime partnership before family and friends, you probably weren’t thinking about joining an epic battle. 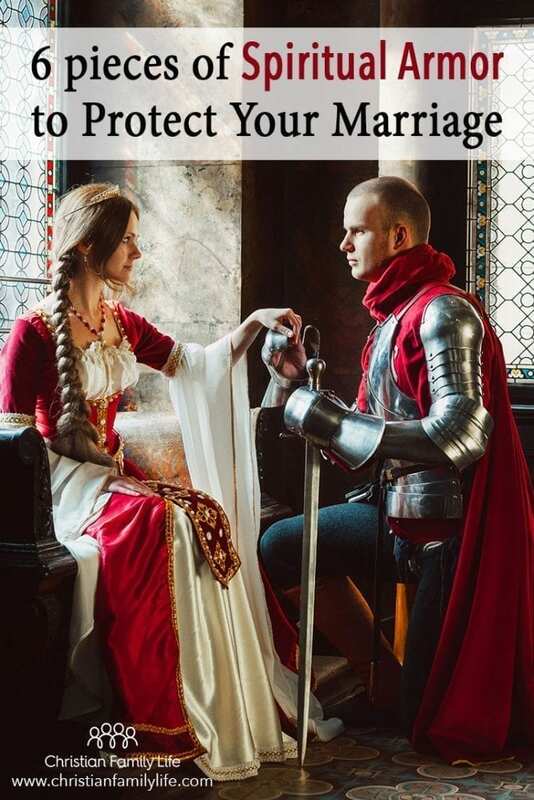 Or that you’d need six pieces of spiritual armor to protect your marriage. Over 2.1 million couples said “I do” in 2016 (citation). Yet the institution of marriage is under assault and many relationships end in divorce—over 800,000 that same year (citation). Why do so many marriages fall apart? Differing experts site different factors—from financial pressures to unrealistic expectations. 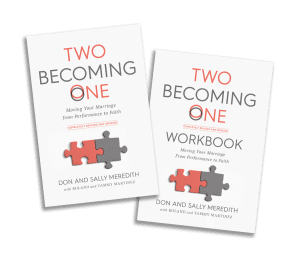 Don and Sally Meredith, authors of Two Becoming One, identify six reasons commonly given during counselling. However, one source is often overlooked—spiritual warfare. According Scripture, marriage is the first human relationship God created. Adam and Eve were in perfect alignment with God and each other. Every husband and wife ever since has landed in the crosshair of God’s Enemy who is determined to divide and separate husbands from wives and couples from their Creator. Whether we are aware of it or not, once we commit to a lifetime together, we are joined in a spiritual battle. Are you prepared to protect your marriage? In Genesis 1—2 God placed our first parents into a perfect setting: a beautiful garden, a two-becoming-one marriage and a daily walk with God the Creator Himself. Who could ask for anything more? But into this perfect scene the Evil One, sometimes referred to as “Satan” or “Lucifer,” fell from God’s orbit and became His enemy. The Enemy’s attack is against God, but in order to effectively accomplish such an audacious assault he focuses on God’s people in general and Christian marriage in particular. He cast doubt about God’s sincerity, care, concern, and provision (Gen. 3). Through the centuries, his tactics haven’t changed. That is why Jesus called Satan “a murderer from the beginning, . . . a liar and the father of lies” (John 8:44) and “the ruler of this world” (John 12:31). Finally, be strong in the Lord and in the strength of His might. Put on the full armor of God, so that you will be able to stand firm against the schemes of the devil. For our struggle is not against flesh and blood, but against the rulers, against the powers, against the world forces of this darkness, against the spiritual forces of wickedness in the heavenly realms(Eph. 6:10-12). You see, there is invisible warfare going on all the time. If the Enemy’s assaults are successful, then our marriages will not reflect the image of God, reproduce a godly heritage, nor reign with God. Our primary struggle is not primarily with our spouse, it is with the spiritual forces arrayed against God and His people. This Enemy of our souls launches his total arsenal against our marriages in order to divide and conquer, seeking to prove to the onlooking world that God is a fraud and that His program of love and grace is really a sham and will ultimately end in complete ruin. What is our defense against this onslaught aimed at destroying our marriages? First, fromthe divine perspective, Satan has already been defeated and he knows it. When Jesus died on the cross, was raised from dead three days later and then ascended back into heaven, the authority and power of Satan were utterly and completely destroyed (cf. John 12:31; Col. 2:15; etc.). In the meantime, Satan has become quite a poker player, always seeking to bluff us into believing his lies and deceptions. But all we have to do is call his bluff. Submit therefore to God. Resist the devil and he will flee from you(James 4:7). Be of sober spirit, be on the alert. Your adversary, the devil, prowls around like a roaring lion, seeking someone to devour. But resist him, firm in your faith, knowing that the same experiences of suffering are being accomplished by your brethren who are in the world(1 Peter 5:8-9). Or in the words of the Apostle Paul, “Therefore take up the full armor of God, so that you will be able to resist in the evil day, and having done everything, to stand firm” (Eph. 6:13). Our greatest defense in this spiritual war is merely “to resist,” that is, to call his bluff! How do we accomplish this in our marriages? Let’s look at how we can, on a daily basis, don each of these vital pieces of armor to protect our marriages. First, gird our loins with truth(14a). No marriage can survive the daily onslaught without putting on the belt that holds all of the other pieces of armor in place. Truth is our marital integrity and faithfulness. Our commitments to God and our mates, reflected in our marriage vows, gives us the freedom to overcome the Evil One. We must put on the breastplate of righteousness(14b). This is the sanctifying righteousness or holiness that we are to practice in our marriage on a daily basis. Without it our hearts and lives are vulnerable to the worst attacks of the Enemy. Then we must fit our feet with the preparation of the gospel of peace(15). This refers to the stability and peace that our marriage gains from a correct understanding and sharing of the good news of the gospel. Peace reigns in a Christian marriage when we commit ourselves to knowing and sharing the gospel, when our home is a refuge and center of ministry for the lost of this world. Next we are to take up the shield of faith(16). 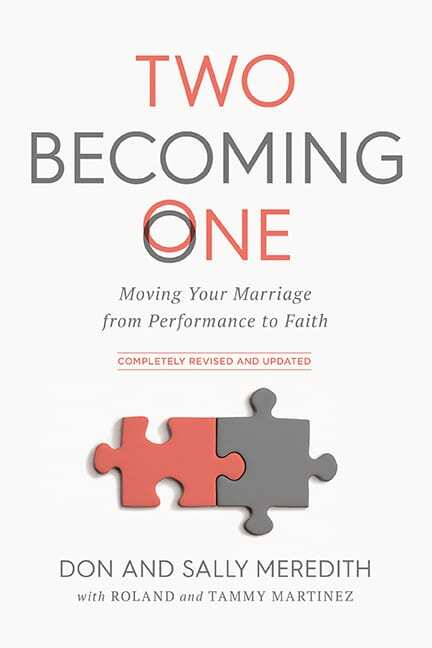 When a marriage is built on a faith-based relationship rather than a performance-based relationship, the flaming arrows of the Enemy are quickly snuffed out. By accepting my mate by faith as God’s perfect provision for my life, I free her or him up to become all that God desires her or him to become. Then, and only then, do we remain untouched by the arrows of insecurity and affliction. Put on the helmet of salvation(17a). When a couple knows and embraces both the present security of their salvation and the future hope of their final deliverance (1 Thess. 5:8), they will be protected from all of the assaults against their minds and wills. It is the Lord’s protection from all of the Enemy’s mind games and head-trips. Finally, we are to take the sword of the Spirit, which is the word of God(17b). The only offensive weapon that we have for our marriage is God’s Holy Word. 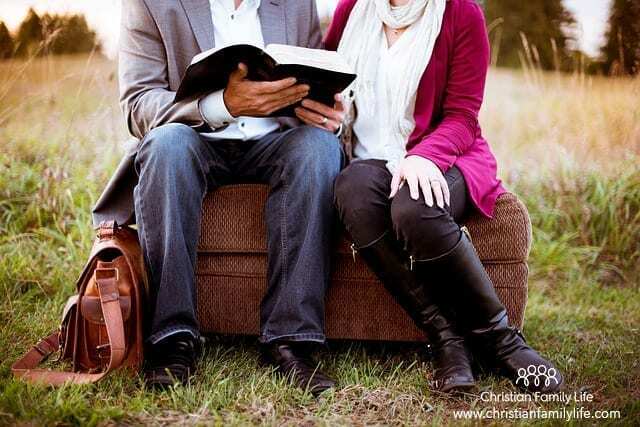 When a couple memorizes, proclaims, and applies the Word of God against specific attacks on their marriage, the Enemy is slashed to pieces and must flee the field of battle, wounded and defeated. It is hard to overstate how important this is for a Christian couple. We must bring all the armor to bear against the Enemy with a life of committed prayer—praying together(18)! For our marriages to be victorious in spiritual warfare, we must commit ourselves to persistent and corporate prayer in the power of the Holy Spirit. Without this kind of committed prayer, all of the rest of the pieces of armor will fall to the ground, leaving us vulnerable to attack and utter defeat. This is where most Christian couples lose the battle! A prayerless marriage is a powerless marriage. Are You Ready to Protect Your Marriage with Spiritual Armor? 1. What kinds of attacks has the Enemy launched against your marriage in recent days? 2. How did you respond to these attacks? What should you have done to respond to them? 3. Can you begin to put on the full armor of God this week? Be specific. Why not pray about it right now? 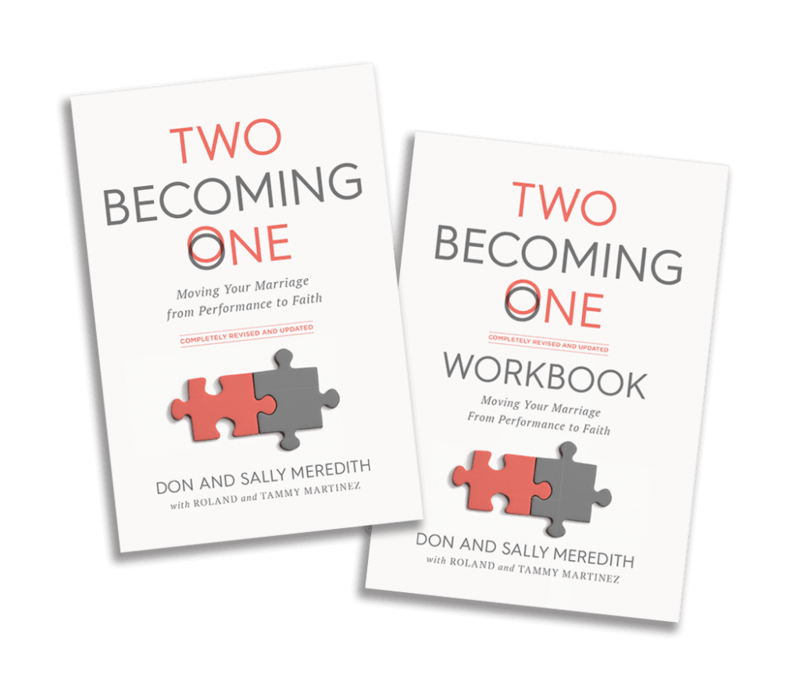 Find out more about God’s design for marriage in Two Becoming One. The Kindle version is also available on Amazon.